“Vogeljagd” is a re-imagination of parts of the “Niebelungensage”. 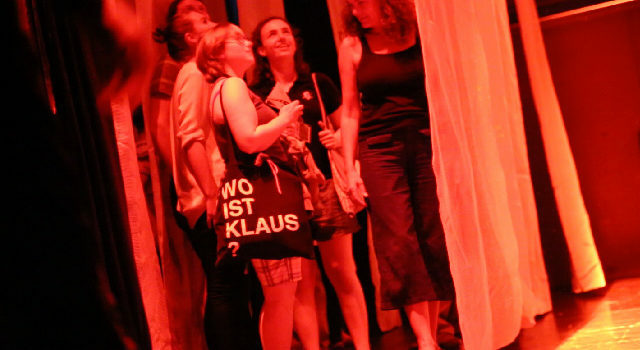 The audience is involved in the play as the accomplice of Siegfried during his fight for Brunhilde. 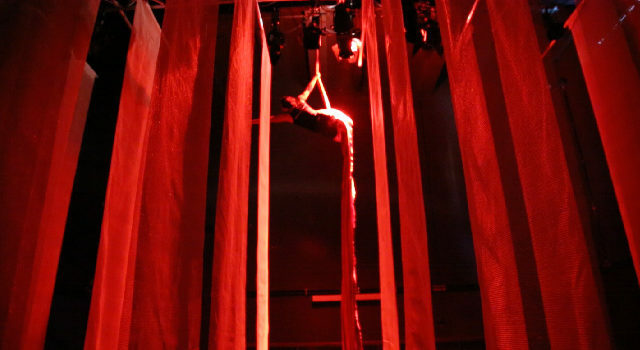 The play itself is a mixture of aerial acrobatics, acting and interactive elements. 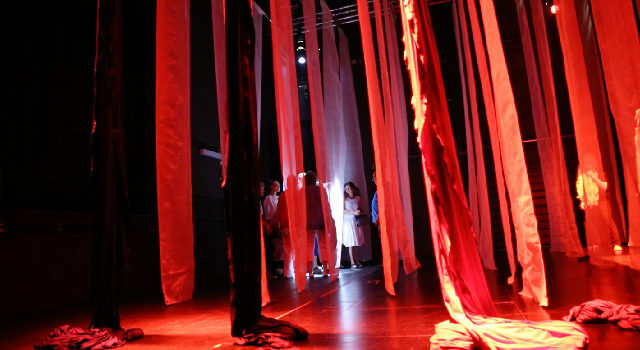 The audience was able to interactively define the area in which the aerial acrobat (Brunhilde) was able to move, while the actor on the floor-level (Siegfried) was guiding the audience to narrow down the area of movement even more. In the end, Brunhilde was captured by Siegfried.